TAKE A SEAT! WHILE WAITING IN LINE, AT THE MUSEUM, WATCHING SPORTING EVENTS,SIGHTSEEING HOLIDAYS, FOR OUTDOOR LEISURE ACTIVITIES - ALMOST ANYWHERE... You have the choice to sit down. FLIPSTICK will ease up the pressure and pain on your lower back and legs. RELAX! 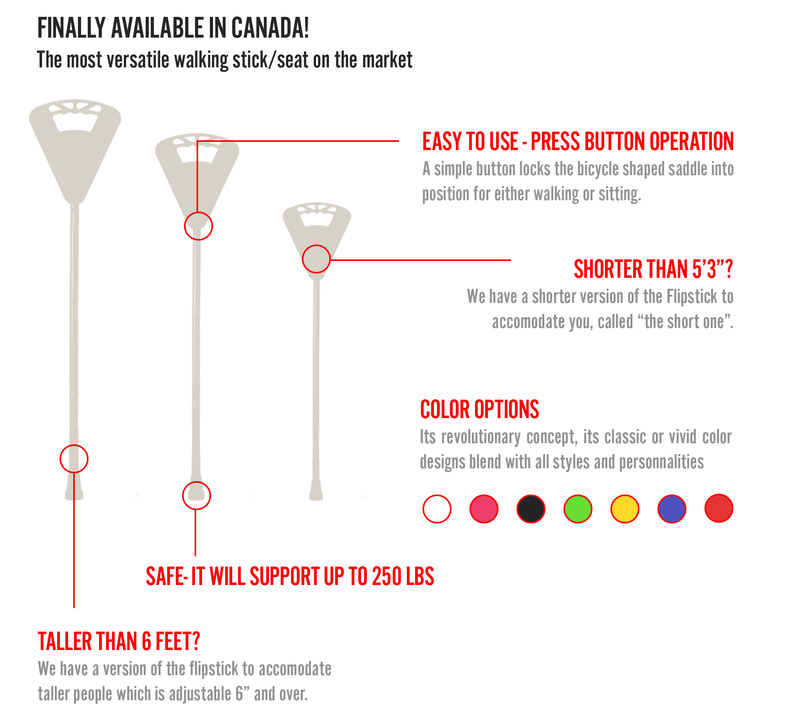 Flipstick, an ingenious lightweight dual purpose portable seat that converts into a sturdy walking cane. Flipstick comes complete with a deluxe shoulder bag in matching colours. Lightweight - 600gr yet strong and capable of safely supporting 250Lbs.